If you are moving, buying, selling, relocating and/or investing within Anderson, Indiana or the Central Indiana area and are looking for a professional, experienced and knowledgeable Real Estate Broker, look no further! 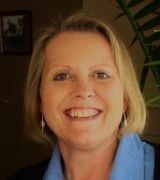 Hi, I'm Betty Mitchell, Realtor and Broker/Owner of The Mitchell Company Realtors in Anderson, Indiana. I pride myself in being familiar with the Hoosier cities I service within Madison County, Henry County, Delaware County, and Hamilton County, Indiana. Anderson, Indiana is just 45 miles northeast of Indianapolis via Interstate 69 and less than one hour to Indianapolis International Airport or Lucas Oil Stadium home of the Indianapolis Colts Football Team. Anderson was recently named among the 100 best places for Business by Forbes Magazine-US Small Metro and was also named the 2007 Community of the Year by the Indiana Chamber of Commerce. Rich in Indian and automotive history, Anderson, Indiana is truly at the crossroads of America. Having three conveniently located interstate exchanges allows quick and easy travel north, south, east or west. Muncie, Indiana is thirty-nine minutes away. Historic Fort Wayne, Indiana is a one hour, thirty-six minute drive. Chicago, Illinois is a three hour, fifty-four minute drive. Louisville, Kentucky is a two hour, forty-eight minute drive. Cincinnati, Ohio is a two hour, thirty-one minute drive, and St. Louis, Missouri is a four hour, thirty-two minute drive. Columbus, Ohio is a two hour and fifty-four minute drive. Nashville, Tennessee is a five hour and fifty-four minute drive. In fact, you can be on the east coast, southern tip of Florida or the Canadian border within a twenty-four hour drive from our city. I invite you to check out our area and hope you will also call it "Home"! If you are looking for a new home or an existing home for sale, farm, investment, condo, duplex, foreclosure home, repo, land, or new business site in Anderson, Pendleton, Lapel, Noblesville, Middletown, Daleville, Yorktown, Fortville, or Fishers, Indiana or surrounding communities, I will use my 34+ years of Real Estate sales and banking experience to make your next move or purchase as hassle free as possible and do my best to match you with the perfect property based on your specific wants, needs and interests. If you are moving and/or selling, I offer a free, no obligation listing presentation and market analysis on your home, condo, farm or business. I will use recent, local MLS documented comparable sold listings as well as my knowledge and familiarity of the area to help you calculate a fair market value of your property based on current marketing conditions. I will then advertise your property on the internet, local newspaper, Multiple Listing Service, (MLS), and area Homes and Lifestyles Magazine, to name a few, to expose your property to potential buyers all across the globe. I provide a superior level of informed, professional real estate services to buyers, sellers and investors and can also assist you with local financing options and/or counseling to achieve your home, business or investment ownership goals. Call Betty Mitchell, Real Estate Broker at 765-644-6683 or toll free at 1-800-540-1384. Or you can e-mail me at Bettymitchellrealtor@yahoo.com. Licensed, bonded, insured. Knowledgeable and respected buyer or seller representation of your home, farm, estate, commercial business building, condo, apartment, multi family unit, duplex, REO/ repo, foreclosure property, land, acreage, building lot, and/or new construction. Betty Mitchell is a life long resident of Anderson, Madison County, Indiana and 34 year Real Estate veteran. Member of Anderson, Madison County Board of Realtors, Indiana Board of Realtors and National Association of Realtors. Madison County Division of MIBOR 2016 REALTOR of the Year. I am a licensed, bonded, insured, and certified background screened Indiana Mobile Notary Public and Signing Agent. I specialize in representing my clients in the purchase and sale of all types of real property including single-family residences, income property, bank foreclosures/repo's, estates, farms, condo's, commercial/retail, etc. within the cities of Anderson, Pendleton, Middletown, Lapel, Markleville, Chesterfield, Fishers and surrounding areas. I keep current of all transactions in these areas, and I am also very knowledgeable with regard to local school systems and area attractions. I carry the SRES designation which signifies that I am a Seniors Real Estate Specialist. This additional certification allows me to properly assist and advise the senior citizen market with the necessary tools, information and education to make informed and wise real estate decisions. My early years as a mortgage loan servicing agent and recent years as a mortgage loan closer have aptly prepared me to advise my customers every step of the way whether buying or selling; from mortgage pre-approval to moving companies. First time home buyers can expect thorough advising and pre-qualification to make confident decisions and to ensure a smooth and hassle free transaction. I am an Anderson, Indiana native having been born and raised in the local area. My grandparents owned and operated several local downtown restaurants during the 1950's-1960's. My father was a local firefighter who later owned and operated a local neighborhood Pizza Pub for over 20 years. This early exposure gave me a rooted appreciation for my community as well as extended knowledge about the locality and citizenry of the area. I graduated from Madison Heights High School. My earlier previous work experience included retail and sales management, mortgage loan servicing, secretarial and restaurant management. Current hobbies of mine include spending time with the family, gardening, traveling, and searching for that special flea market find.